I often look at Google Maps to find new places to ride. Some of the roads look fascinating going through some beautiful country. The problem is a lot of them don’t exist. Mistake Road is a classic example. 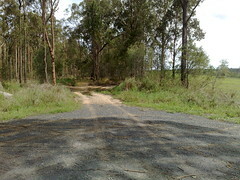 Driving along Dunlop Lane in Kurwongbah, if you read the Google Map, you’d expect a nice ride through to Shea Road. 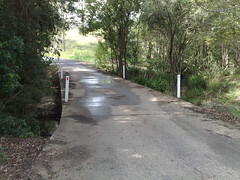 But the bitumen gives way to gravel, which gives way to dirt and mud, and in the end, all that is left is a horse trail. And off that horse trail is Mistake Road. 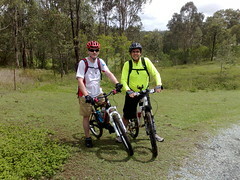 So Steve and I bashed through some bush on the bikes, down Mistake Road. It went through a creek that was knee deep, so I cunningly took off my shoes and socks to keep them dry and waded through, holding up the bike. 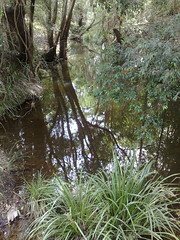 The next creek, Steve said “Ride through it, it’s easy” so I did, stalled mid-way and soaked my lovely dry shoes. 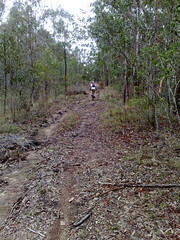 At this point the track disappeared and we found ourselves in a paddock near a farm house. “Woops, we’re accidentally trespassing” I thought. And just as we were about to get out onto the main road, we met up with the land owner driving her car out. I had my spiel all worked out “I’m really sorry. We’re lost, can you tell us how to get out of here?”. But before I could, she congratulated us telling us that they’d only just prepared a new horse riding trail through their property, and we were the first people to come along it on our bikes. Wendy was really friendly, and I was relieved that we hadn’t antagonized some old hermit of a farmer who was going to set (in my imagination) hungry dobermans onto us. But the point is that there are hundreds of old roads that are on maps, that “aren’t really there”. 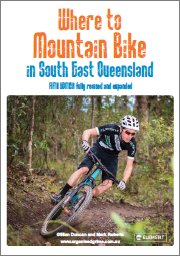 But if you ride down them on a bike, just at the point where they “disappear” you can bash through the bush and find horse trails that are probably more than a century old. I’ve got a hunch that the “Old North Road” from Brisbane to Durrundur came through here somewhere. Constance Campbell Petrie writes about a Indian fellow by the name of Shake Brown who kidnapped an Aboriginal woman and sailed to what is now Noosa Heads. 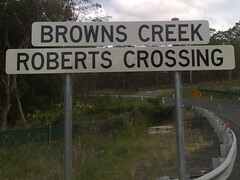 After he’d had enough of roughing it, he came down the Old North Road on his way back to Brisbane, where he was met by some Aboriginal relatives of the kidnapped woman who exacted revenge from Brown and killed him on the banks of what is now Browns Creek. Browns Creek runs through this area, as you can see on the map, so it’s very likely we rode today near where Shake Brown was killed, which is also where the Archer Brothers would have ridden their horses in the 1840’s on the way to Durrundur Station near present day Woodford. So next time you drive your car to the end of road that really ought to be there according to the map, remember that the road probably still is there – you just need a good horse (or a mountain bike) to go any further. The land at the top of Armstrong Street, Petrie, known as “Murrumba Hill”, is special for a number reasons. 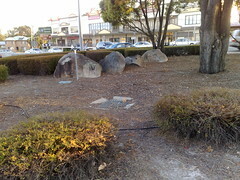 Tom Petrie, a pioneer of the area during the nineteenth century, had good friendship with the local aboriginal people. He spoke their language, attended their initiations and bunya feasts, and treated them with a respect that was 150 years ahead of his time. In return, tribal elder Dalaipi advised Tom to build his house on this hill, and keep his cattle here. He promised that the North Pine tribe would look out for Tom’s family. So Murrumba Hill is a symbol of rare early mutual respect and friendship between Aborigines and white men. On this hill you can find some impressive old specimens of Hoop and Bunya Pines, and (until recently) a forest that had been untouched for almost a century, named “Dalaipi’s Forest” in honor of the great aboriginal leader who befriended the Petrie family. The Petrie family sold the property to the Catholic church in the 1950’s on the proviso that the old homestead remained intact. Sadly, the chuirch renegged on the deal and demolished the homestead about a year after getting their hands on the property. 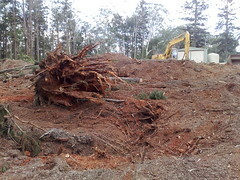 The Dalaipi Forest was left alone, but it was neglected. Due to lack of maintenance by the new owners, it became infested with Lantana and other noxious weeds. And then last week, the church decided to bulldoze the Dalaipi Forest to construct another building and more car parking spaces. Ironically, all this happened in the week of the Copenhagen Climate Change Conference, where people are debating the effects of land clearing on Climate Change. Forests like this can sequester almost a thousand tons of carbon per hectare. They are habitat to many native species of birds, animals and insects. But more than this, a forest like this brings magnificent peaceful beauty right into the middle of our suburbs. What a tragedy that it is gone. 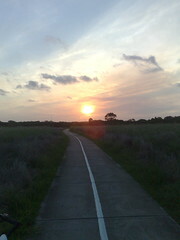 We spent an hour around sunset yesterday riding through the Boondall Wetlands along the Moreton Bay Bikeway. No cars, lots of open space, and great views. What more could you want? The Bikeway goes for miles, and for a lot of it, you can’t hear anything except wind! 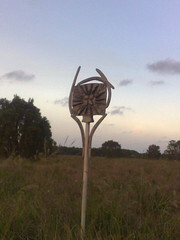 I was impressed by this Aboriginal sculpture in the middle of nowhere. It’s framed by boomerangs and has a plant motif on one side, and a bird on the other. 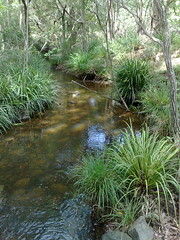 These wetlands were used by Aborigines as pathways from the hinterland down to the sea. 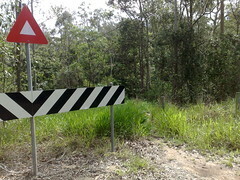 This is the only remaing parcel of virgin rainforest in the Pine Rivers district. It’s never been cleared, and apart from a few noxious weeds like Lantana and Umbrella Trees, it’s pretty much the same as it was before Europeans arrived 200 years ago. Ironically it’s in the middle of a gravel quarry. The ground around it has been excavated to such an extent that it’s almost an island. Before Europan settlement, all the land around our neighborhood along the river looked like this. 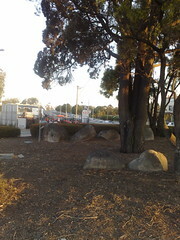 I half expected early 19th century elder, Dalaipi, to peer out at me from behind the trees. Environmental reports suggest that the salinity of the soil is increasing due to the surrounding excavation, so its lifetime is limited. I just wanted to capture a glimpse of pre-colonial Australia before it disappears. 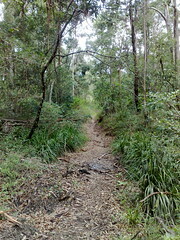 Bell’s Scrub is one of the very few remaining patches of lowland rainforest in the Pine Rivers Shire and one of few in the wider area of south-east Queensland. 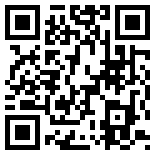 However, the site is small and not in good condition. Bell’s Scrub represents the southern limit of distribution of brown pearwood (AMOPHOSPERMUM ANTILOGUM), and the crown of gold tree (BARKLYA SYRINGIFOLIA). The fig trees on the site are utilized by brown (MACROPYGIA AMBOINENSIS) and topknot (LOPHOLAIMUS ANTARCTICUS) pigeons. Here’s some more pictures of the Mandin Fish Trap on the North Pine River. 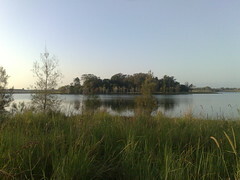 Nineteenth century aboriginal elder Dalaipi lived in what is now Petrie, north of Brisbane. He was the custodian of several sacred sites in the district including a bora-ring called “Nindur-Ngineddo” (meaning “leech sitting down”). 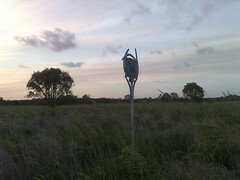 Sadly, the bora ring today is under the round-about at Petrie, and no trace of it remains. It does seem ironic that a modern circular traffic construction should be sitting on top of an ancient circular spiritual construction. Perhaps the spirit of Dalaipi had something to do with that. You’re supposed to treat a bora ring with respect and not just go blundering through it. The busy traffic makes it virtually impossible for anyone to casually blunder through the site at all. 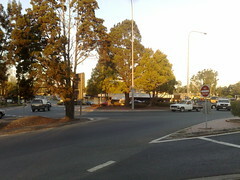 In fact I risked life and limb to just cross the road to get to it. Although thousands of cars per day drive around it, I think it would be rare for someone to actually walk through it. In 1824, John Oxley wrote that he saw a weir in the North Pine River. The local Turrbal people called it “Mandin”. It was a pocket coming off the river into which they would drive fish, which would then be easily caught. 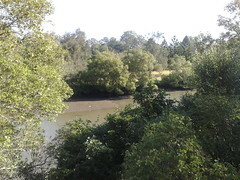 This is “Mandin” as it appears today, just west of the railway bridge over the North Pine River. I stopped there today, and it was easy to imagine young Aborigine kids from 200 years ago splashing about in the water, chasing fish into this pocket.